"Over-the-threshold services is where the world is headed," said UPS global healthcare logistics strategy head, Chris Cassidy - who joined the company last year from GlaxoSmithKline. He's how the program will operate, per Reuters. 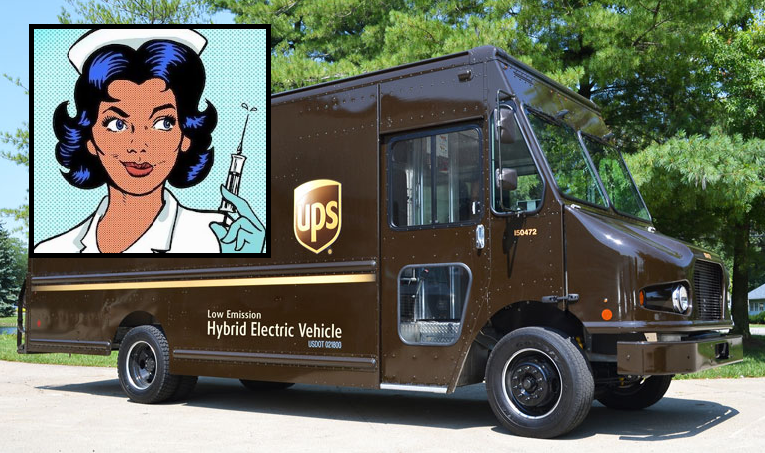 "Workers in UPS’ 1.7 million-square-foot healthcare complex at Worldport will package and ship the vaccine to one of the more 4,700 franchised U.S. UPS stores. A home health nurse contracted by UPS’ clinical trial logistics unit known as Marken will collect the insulated package, transport it the “last mile” to the patient’s home and administer the vaccine, which will target a viral illness in adults." UPS purchased Marken in 2016. CEO Wes Wheeler, who is overseeing the project, says the aim of the test is to "see if we can connect all these dots." The move into healthcare comes as the parcel delivery business prepares for a cooling economy as well as competition from Amazon - which is in the process of rolling out its own logistics network in order to cut costs. The UPS project is partially aimed at ways to increase adult vaccination rates, however the project faces hurdles - such as how to get medical insurers to pay for the new service. "Campaigns raising money to promote misinformation about vaccines violate GoFundMe’s terms of service and will be removed from the platform," GoFundMe spokesman Bobby Whithorne told the Beast. Vaccine Choice advocate Melissa Sullivan, EVP of Health Choice Connecticut, says that GoFundMe's ban is a "violation of the First Amendment," and suggested that big pharma was behind the decision. "Whether you believe it’s true or not, everyone is entitled to their opinion," said Sullivan. "I would hope they would reconsider. This movement needs to be able to get funds in order to fight pharma giants like Merck and other vaccine manufacturers." The UPS vaccine push along with GoFundMe's elimination of anti-vaxx voices comes as the US government has paid $100 million in vaccine injuries and deaths year-to-date ($110 million including attorneys' fees) across 240 cases. In total, more than $4 billion has been paid out by the National Vaccine Injury Compensation Program (VICP) since 1989.